3700101 712 JCB 712 Articulated Dump Trucks. Spare Parts Catalog. Service (workshop) Manual. Operator's Instruction Manual. 3700102 714 JCB 714 Articulated Dump Trucks. Spare Parts Catalog. Service (workshop) Manual. Operator's Instruction Manual. 3700103 714 Tier 3 JCB 714 Tier 3 Articulated Dump Trucks. Spare Parts Catalog. Service (workshop) Manual. Operator's Instruction Manual. 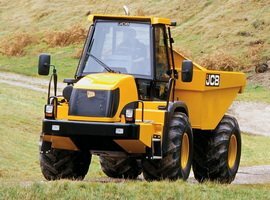 3700104 716 JCB 716 Articulated Dump Trucks. Spare Parts Catalog. Service (workshop) Manual. Operator's Instruction Manual. 3700105 718 JCB 718 Articulated Dump Trucks. Spare Parts Catalog. Service (workshop) Manual. Operator's Instruction Manual. 3700106 718 Tier 3 JCB 718 Tier 3 Articulated Dump Trucks. Spare Parts Catalog. Service (workshop) Manual. Operator's Instruction Manual. 3700107 722 JCB 722 Articulated Dump Trucks. Spare Parts Catalog. Service (workshop) Manual. Operator's Instruction Manual. 3700108 726 JCB 726 Articulated Dump Trucks. Spare Parts Catalog. Service (workshop) Manual. Operator's Instruction Manual. 3700151 HTD5 JCB HTD5 Dumpster. Spare Parts Catalog. Service (workshop) Manual. Operator's Instruction Manual. 3700152 TD10 JCB TD10 Dumpster. Spare Parts Catalog. Service (workshop) Manual. Operator's Instruction Manual. 3700153 TD7 JCB TD7 Dumpster. Spare Parts Catalog. Service (workshop) Manual. Operator's Instruction Manual.